The 243 mph, three-seat McLaren F1 supercar has been a legend since the ’90s and I thought it was safe to say that there was nothing new to learn about this thing anymore. But I was proven wrong about that today. So you might want to go ahead and watch this 40-minute McLaren F1 tour with our old pal Doug DeMuro in Jay Leno’s Garage. Mr. DeMuro’s M.O. is a simple one–he finds and explains the most interesting elements of cool cars. The McLaren F1 is an interesting element in of itself. “The ultimate high-performance car of the 20th century,” in fact, as Leno himself describes it in this video. 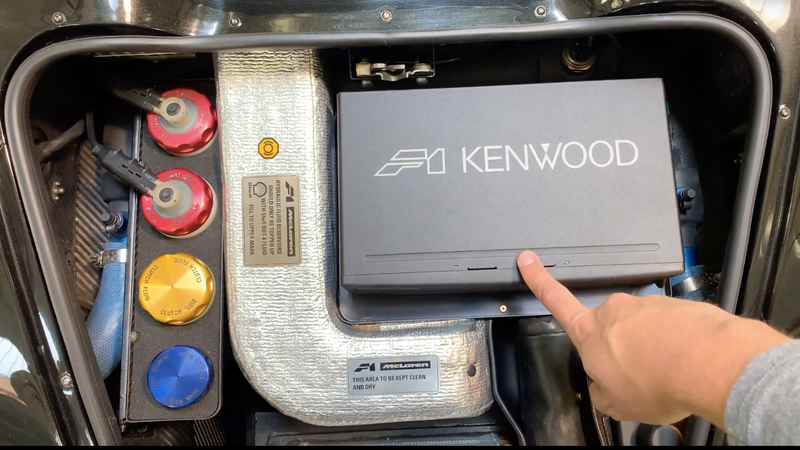 Why the cars engineers decided to do that, instead of just omitting a CD changer altogether, is as hilarious to me as the idea of doing some roadside maintenance on a McLaren F1 with the dinky little titanium wrenches included in the car’s factory toolkit. But this is all just what makes this car so freaking amazing. Many people watching this probably will be familiar with the fact that the car had a strange three seat passenger configuration with the driver stuck in the center, but I really liked seeing the side-mounted cargo compartments, the strange switch you have to flip to put the McLaren F1 in reverse, and of course the modem hookup for remote over-the-internet problem diagnosis. The only question DeMuro didn’t answer was what was the connection speed of that modem, and apparently something about the windshield wiper. If you stick it out or scrub ahead to the end of the video, you get to see Leno doing some driving and talking about the car, which he has owned for 20 years. “Every time I take it out, I learn something,” he says. I’m still not convinced any car is worth $16 million, but obviously the McLaren F1 was a gift to car enthusiasts that keeps on giving.